in Côte Rôtie and Condrieu have caught our eye. 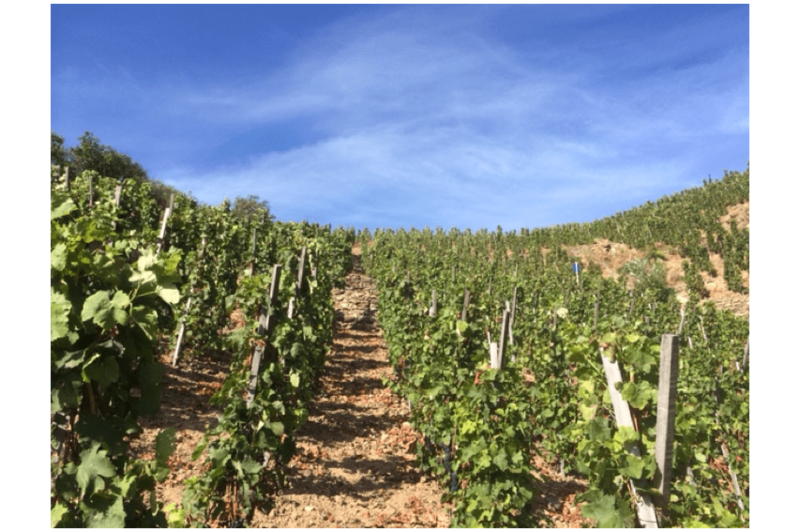 Domaine Gaylord Machon is in Beaumont-Monteux, in the heart of the Crozes-Hermitage appellation, on 'les châssis' a name which derives from the numerous large stones found in this area, which make for a particularly free-draining soil. 5% of the domaine is Marsanne and Roussanne, from which a tiny amount of white is made, the rest being all Syrah for the two cuvées of red. All the work in the vines is manual, including the harvest. Gaylord took over 5 hectares of family vines in 2002, the produce of which he took to the co-op, like his forbears, until 2008, when he began to sell the grapes of what was then an enlarged 8.5 hectares to Paul Jaboulet Ainé. In 2011 he made his first wine. 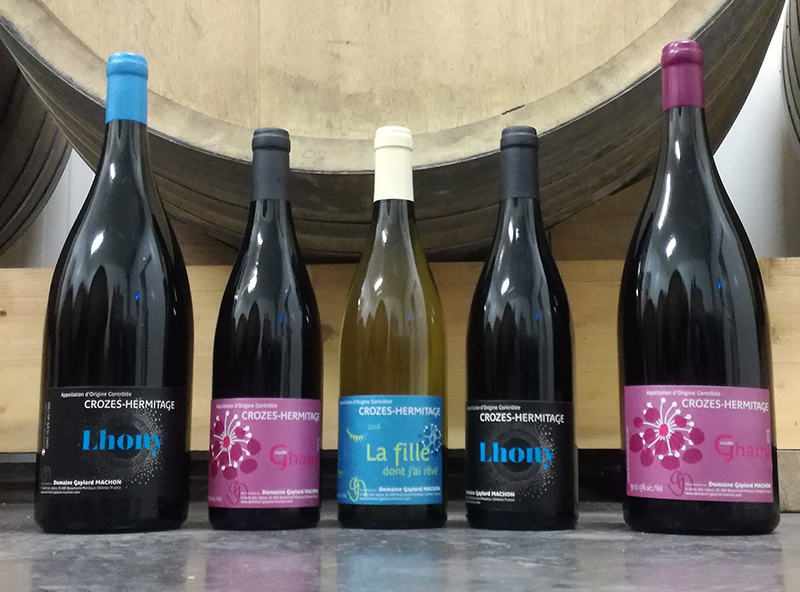 He is a qualified winemaker, and had trained with Luc Tardy and Laurent Combier, among others. Gaylord built his own vinification cellar in 2014, and today vinifies about half his red production and all the white.